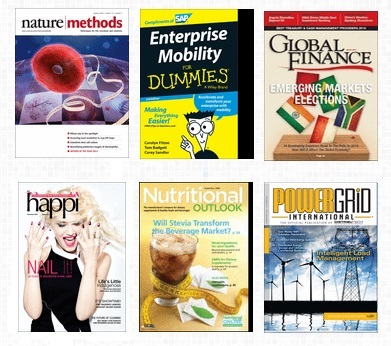 Free Trade Magazine Subscriptions. Search through the extensive list of free magazines, downloads, publications and newsletters to find the titles that best match your interest. Topics include finance, automotive, healthcare, management, education, information technology, marketing, operations, career, sales, retail and many more. Simply find your desired magazine, complete the application form and submit it. Great for teachers, business owners, healthcare professionals, and students that wants to learn more about the topic. Nothing to pay, all Trade Magazine Subscriptions are absolutely free to professionals who qualify. Instructions: Click the link to browse hundreds of free magazines, complete the application form and submit.